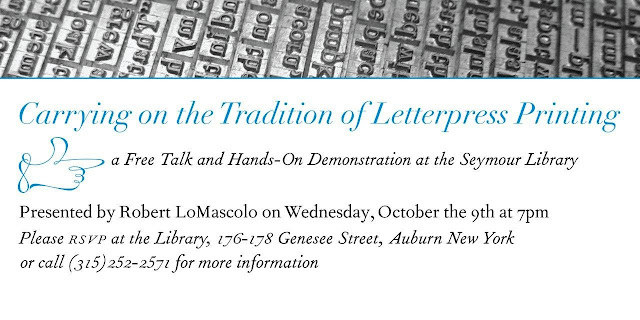 The Press of Robert LoMascolo: Mark your Calendars for October 9th . . .
Mark your Calendars for October 9th . . . Rob will present a Free talk and hands-on demonstration at the Seymour Library in Auburn, New York on October 9th at 7pm. Please RSVP by contacting the Library.